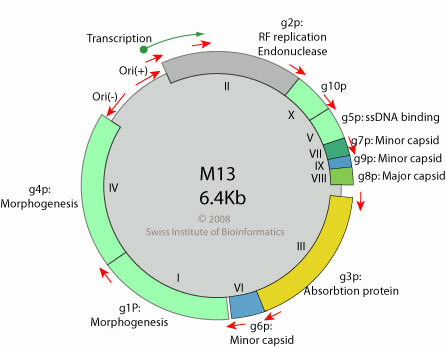 Viral g3p protein mediates pilus-mediated adsorption of the virus onto host cell. 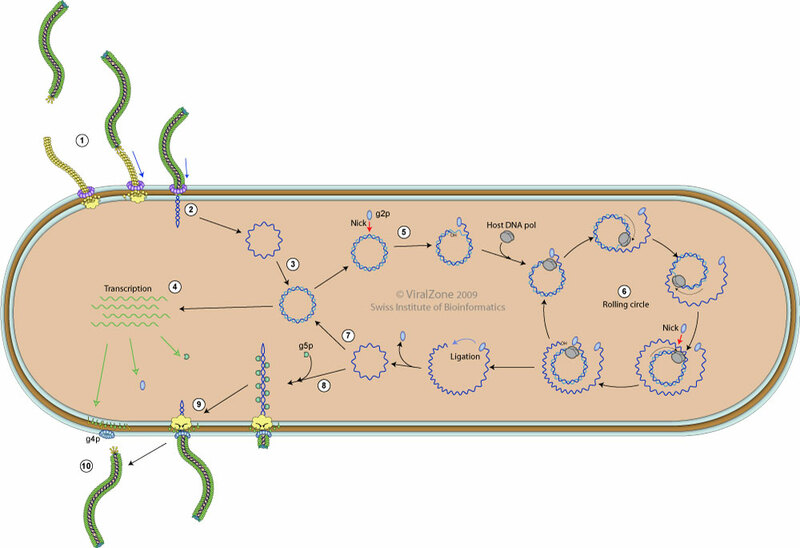 Pilus retraction pulls the virion to the host internal membrane to allow and subsequent interaction of g3p with the integral membrane protein TolA (coreceptor). INTERACTIONS Cell receptors: F pilus (primary receptor). Integral membrane protein TolA (coreceptor) .